January is often when we make (and sometimes break) our New Years Resolutions. It is also a time when we start to plan our holidays for the year ahead, and whilst Cornwall has traditionally been thought of as a 'Summer destination', I would encourage you to also include it on your 'holiday wish list' for a Short Break (midweek or over a weekend) early in the New Year, (January or February) and come and stay in a cosy Cornish cottage - like Rooky's Nook, and discover Cornwall in the Winter. Why Cornwall? Why early in the New Year? Why January or February? Simply because Winter in Cornwall is often warm, wet and wild, with miles of deserted beaches, beautiful skies and dramatic seas, stirred up by the Atlantic swell slamming into the beaches and granite cliffs on the North coast. It is a special time of year to visit Cornwall, when you can get back in touch with nature and reflect on what is important to you, leaving behind the hustle and bustle and distractions of everyday life. Also because Winter Breaks in Cornwall are a wonderful way to indulge in a natural 'detox' from all the festive excesses of the Christmas and New Year celebrations. All you need are a couple of days to getaway, to clear your head, and recharge your body and soul for the New Year ahead. There simply is nothing better than a walk on a local Cornish beach, or along miles of the South West Coastpath, which may leave feeling battered by the elements, but also envigorated, and rejuvenated, having filled your lungs with chilly sea air, or had your face splashed with salty sea spray from waves whipped up by bracing winter winds. An experience guaranteed to make you feel alive, and ready to face almost anything the New Year 2015 has instore for you! Winter Short Breaks (over a weekend or midweek) at Rooky's Nook in January 2015 for 3 nights are from £270.00. Come and explore the great outdoors, and feel like you have Cornwall all to yourself, before returning to you own romantic cottage for two, to cuddle up infront of a roaring fire with your loved one, having enjoy some really special time together. 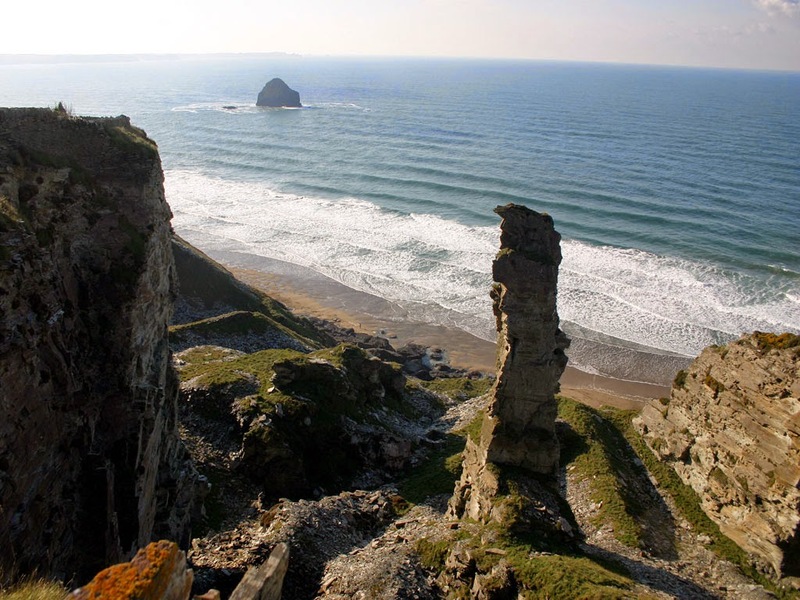 Wondering what there is to see and do on holiday in Cornwall in Winter? Here are some suggestions for wonderful winter days out, making a special start to the New Year: Also great for banishing any 'winter blues'! 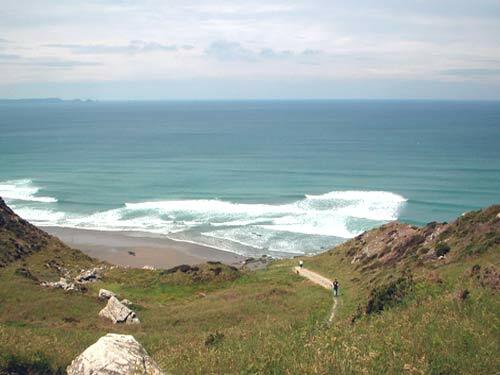 coastpath to the Willapark headland and onto 'The Forrabury Stiches' (medieval open field system), for magnificent views out to sea and along the North coast. Alternatively walk inland up the Valency Valley to St Juliot's Church, where it is said Thomas Hardy met Emma Lavinia Gifford whom he later married in 1874. It was this romance that led to his novel "A Pair of Blue Eyes", and to some of Thomas Hardy's finest poetry. 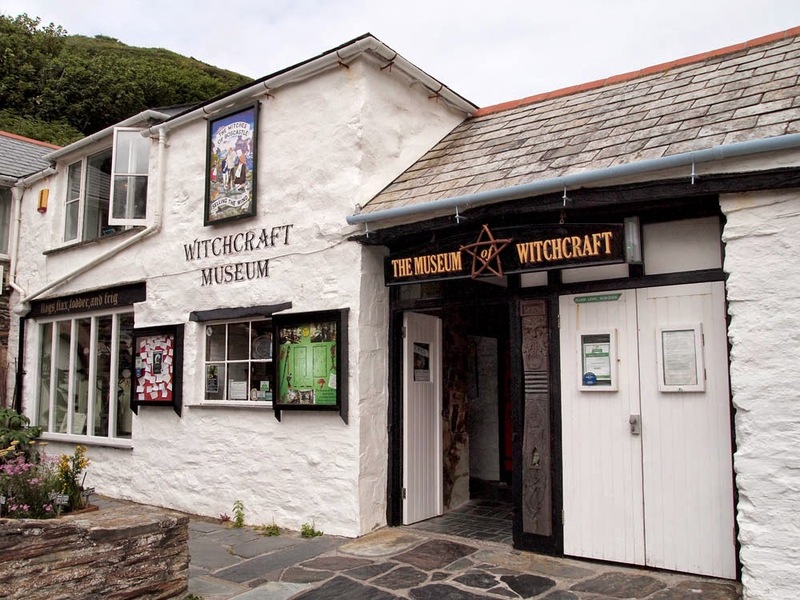 Then treat yourself to a delicious Cornish Cream Tea either in National Trust Cafe (in the harbour), or at the Boscastle Farm Shop, (on the Bude Road just out of Boscastle). Port Isaac: For another great day out, wonder round this picturesque Cornish fishing village, nestling in a narrow sheltered valley, filled with 18th and 19th century whitewashed cottages, narrow streets and alleyways (including the affectionately named 'Squeezeebelly Alley'), plus working harbour ('the Platt') and Fish Cellars. 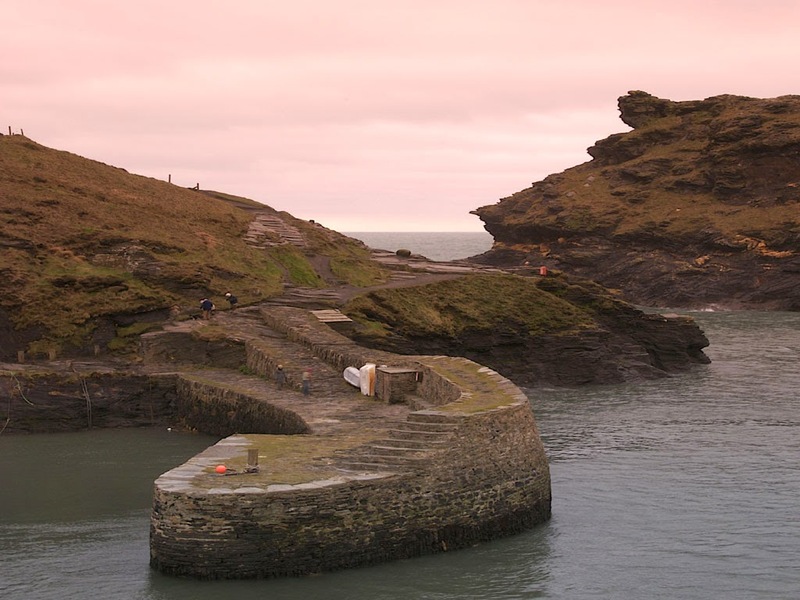 Then take the coastpath for Port Quin and go past the house filmed as the Doctor's surgery (in the Doc Martin's TV series), and up onto the headland, from where you can enjoy amazing views along the North Cornwall coast. 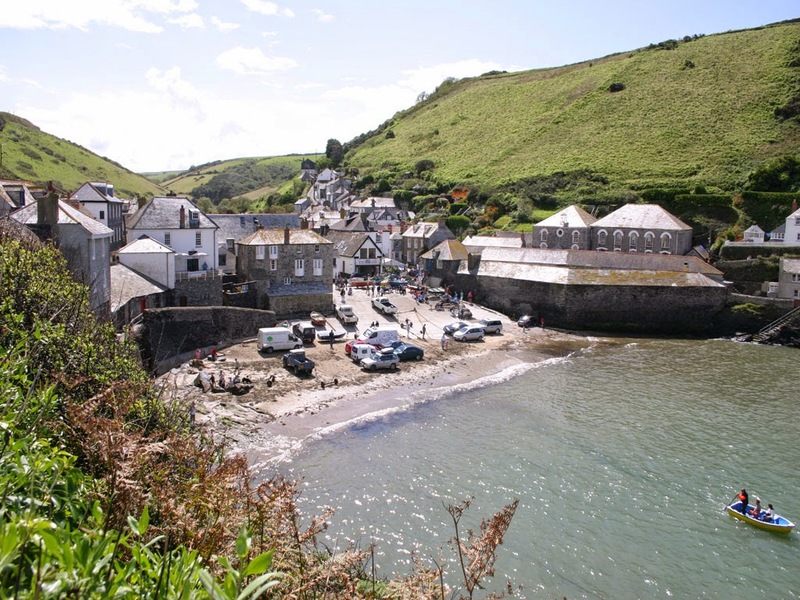 'Port Isaac' is believed to have originally been 'Port Izzard' or 'Portissyk', pronounced 'Porthusek' in Cornish, and also more recently as 'Port Wenn' the fictitious village in the television series of Doc Martin. The Famous Christmas Flower Garland Cotehele in Cornwall 7th - 21st November 2014: Watch the famous 60 foot long flower garland being made from 31,000 dried flowers collected from the Estate earlier this year. 22 November - 31 December (except 25 and 26 December) come and admire this beautiful garland, hung in the great hall, whilst warming yourself by the fire and listening some Christmas music. Alternatively if you fancy making your own Christmas decoration or gift, sign up for a one day Craft Workshop: (25 November - 5 December) for Willow Weaving, Topiary, Herb Garlands and Gifts. Cotehele Christmas Food Fair Saturday 22 and Sunday 23 November, 10am-4pm Another great Cornish Christmas market for you to stock up on your favourite Christmas cheese, cake, ale and other local Cornish delicacies. Truro City of Lights: 25,000 people are expected to come to see this magical mid Winter Lantern Festival which parades through the streets of Truro on 19th November at 6.30pm, accompanied by music from local bands and dance from the Truro School of Samba. It also includes the official switch on of Truro’s Christmas lights. This year (2014) the theme is 'Heroes', and is a fantastic local community event for all ages. Truro 'Made in Cornwall' Christmas Fair: 26th - 30th November 2014 Dedicated to promoting Cornwall’s finest artists, artisans, and food and drink producers, plus Father Christmas, a herd of Reindeer and Christmas parade to mark the start of late night shopping. 1. Go 'beach-combing' at Tregardock Beach - looking for a heart-shaped pebble to give your loved one as a special momento of your romantic holiday together - here in Cornwall. 2. Play scrabble infront of a roaring fire, (trying to include as many romantic words as possible!) 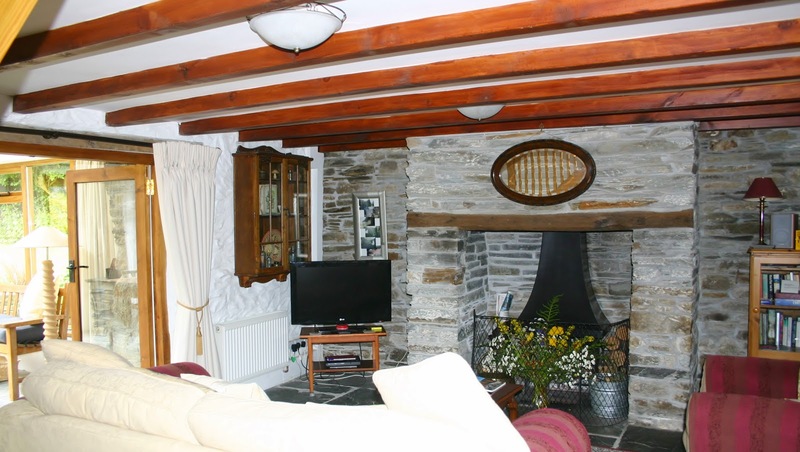 whilst snuggled up in your very own cosy cottage for two. 3. Share a freshly baked Cornish Pasty from Pendenis Pasties in magical Tintagel, having just wondered round the ruins of Tintagel Castle, and hidden in Merlin's Cave (like pirates or smugglers)! 4. Listen to the Fisherman's Friends sing sea shanties on the Platt at Port Isaac - having wondered through this pictureque village and found the aptly named 'Squeezy Belly Alley' (Temple Bar) - which is only 18" wide at it's narrowist point! 5. Star-gaze on a clear night (great as there are no street lights in Trewalder making dark nights with clear skies bright with stars), - and maybe even make a 'wish on a shooting star'. Then lie in bed listening to the owls 'hoot'. 6. Take the pedestrian water ferry across the River Camel between Rock and Padstow, and enjoy a delicious fish and chips 'takeaway' from Rick Steins. 7. Share a traditional Cream Tea at the Boscastle Farm Shop, overlooking the North Coast, close to the SouthWest CoastPath. 8. Cycle from Wadebridge to Padstow on the Camel Trail - along the original railway line, taking in beautiful views across the Camel Estuary. 9. Take your loved one breakfast in bed - made from local eggs, sausages, jams and marmalade from Newhall Green, next door to Trewalder. 11. 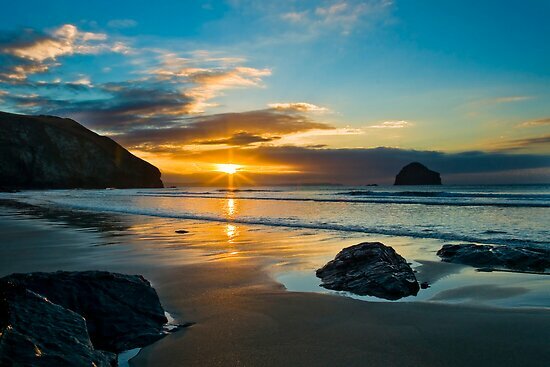 Watch the sunset across the water at Trebarwith Strand - the closest beach to Rooky's Nook - truly romantic! St Kew Inn, St Kew (not to be confused with St Kew Highway!). 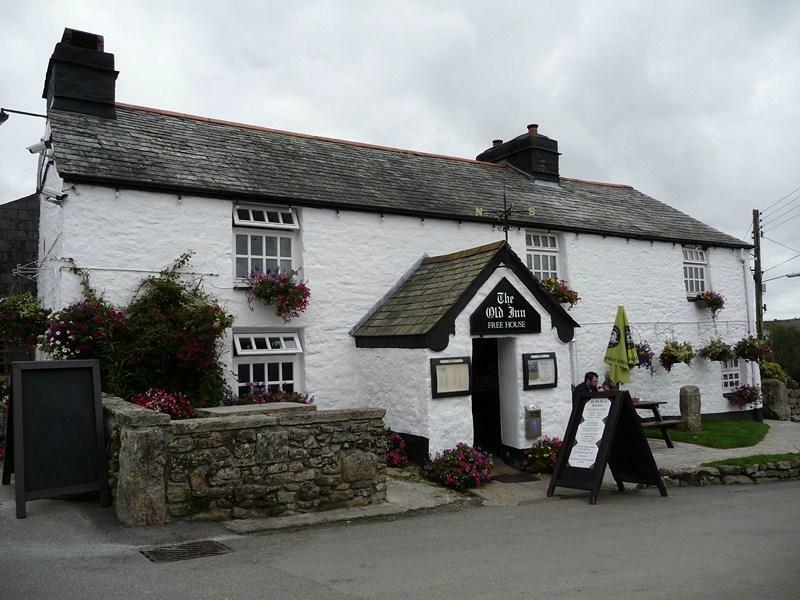 This 15th Century Inn has always been a significant local venue, hostings auctions, political meetings, weddings, wakes and Cornish wrestling - said to have been held in the meadow which is now the car park! It now offers great food (booking recommended), in 2 separate dining areas plus the main bar and garden (weather permitting). - Great for a lazy lunch, or special evening meal - in a lovely setting, all year round, and one of my favourite local places to eat out! It has also been voted one of the top 50 pubs in the U.K. and received Michelin Bib Gourmet recognition. The Port William, Trebarwith Strand set on the headland overlooking Trebarwith Strand, (nearest beach to Rooky's Nook). 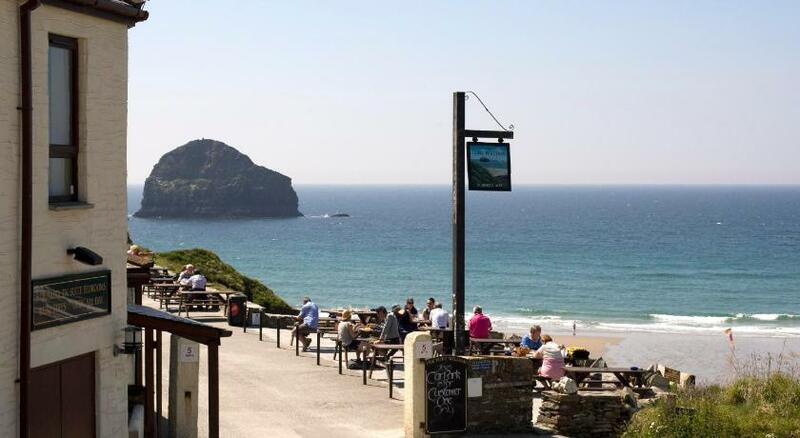 Whilst also serving food (see their 'Coastal Pub and Kitchen menu) my recommendation is to go here for a drink, and soak up the fantastic view over the cliffs, beach and sea. If you stay and watch the sunset over the water - it's simply fantastic, and very romantic! 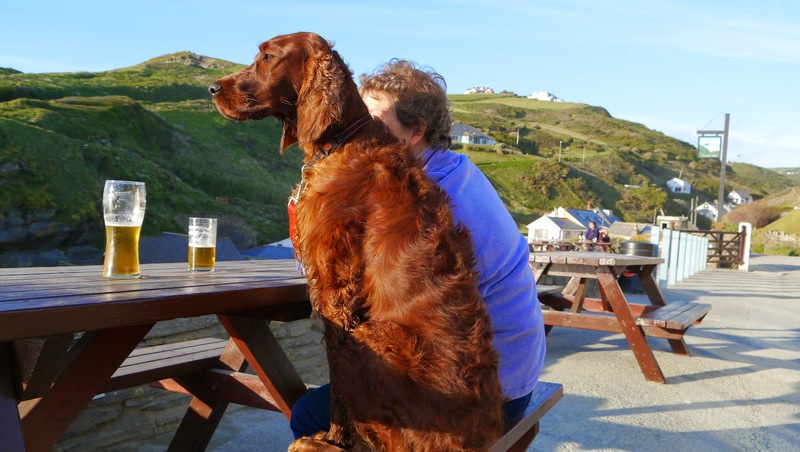 The Port William is also dog friendly, and a great place to 'paws for a pint', after walking the coastpath, or just admire the view! The White Hart St Teath Located opposite the Clock Tower in the centre of St Teath, this is one of the closest local pubs to Rooky's Nook serving good 'pub grub', traditional ales (St Austell beers), with a friendly atmosphere. Great for a 'pie and a pint' when you can't be bothered to cook for yourself, or fancy a local pint. It is also dog friendly, and nearby (only a short drive away).